LastFM: "Users are being driven away from licensed services that are trying to do the right thing"
Internet radio broadcasters are considering taking legal action against US congress to reverse a recently announced increase in royalty fees. The ruling for internet radio broadcasting, passed last week by US copyright royalty judges, called for royalty fees to go from 0.08 cents per track to 0.19 cents by 2010. Operators are saying the increase will kill off the diversity of internet radio broadcasting, with many stations being unable to afford the new fees. "This ruling is going to have public radio stations looking for ways to cut back what we do, as opposed to expanding," said Roger LaMay, general manager of WXPN - an NPR station. Two US broadcasting bodies are approaching the US copyright royalty judges with appeals: the National Public Radio (NPR) and the Corporation for Public Broadcasting (CPB). And there is hope for a positive outcome: Rags Gupta, an executive at internet TV provider Brightcove, told Digital Music News that appeals have worked in the past. UK internet radio stations will also be affected. Martin Stiksel of London-based Last.fm told the BBC: "The US is one of our strongest markets. We are competing with unlicensed services and this change makes that almost commercially unworkable. Users are being driven away from licensed services that are trying to do the right thing." The licence fee is distributed amongst artists whose music is played on the station. 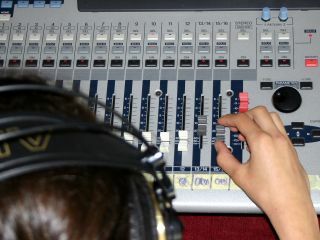 All radio broadcasters are required to pay it. Increased licensing costs will almost certainly sacrifice the freedom of internet broadcasting, killing off its eclectic, tailored nature. There is also concern that the changes won't help internet radio become an established medium for broadcast in the future. "In a mobile world, every radio will receive 'over-the-air' broadcasts, and whether these broadcasts are FM, satellite, or Wi-Fi should be entirely irrelevant under the law," said Bob Kimball, senior vice president of Legal and Business Affairs for RealNetworks . "Congress should not pick the winners and losers in this competition."